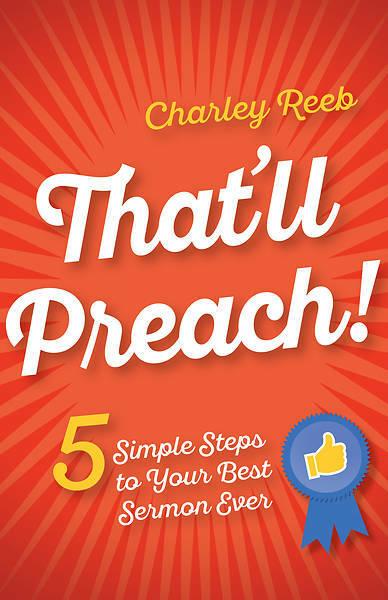 Offers a simple process and a ‘secret’ technique for great preaching. A good pastor and a good preacher are not necessarily one and the same. And when you’re honest with yourself, you know you don’t really engage your congregation, even when you know what you want to convey and have the Scriptures to back you up. Charley Reeb asks you to give his five-step plan for writing and delivering your best sermons ever a shot. Immediately useful, That’ll Preach! covers preparation, sermon structure, storytelling, and how to “preach with presence,” using both the lectionary and topical preaching models. Sermon outlines and full sermon texts illustrate the book’s teaching.